I purchased the innocuous, thin little paperback and slipped it into my handbag. Reading the essay cover to cover in one sitting reminded me that libraries and bookshops are dangerous places… very dangerous indeed. As the poem by Joseph Mills reads, “If librarians were honest, they would say, no one spends time here without being changed.” Within the pages I found story after story of individuals doing their very best to survive in interminably horrid conditions. Stories like that of Yasmin, whose son Ramo drowned during the dangerous sea crossing from Turkey to Greece. Stories like that of Raghda, a fashion designer in Syria whose work with naked mannequins became a crime punishable by death under Daesh. These stories, these arrestingly human stories aren’t the ones we’re supposed to hear. Where mainstream media sprouts rhetoric designed to classify and dehumanise, these individual stories arouse the most dangerous emotion of all; empathy, and empathy cannot help but change us. Stories create a common humanity and when, as Flanagan points out at the end of his essay, we believe that “refugees are not like you and me. They are you and me” we may just find ourselves changed. It might be a nuanced understanding of the complexity of the situation, a different image when we hear the word ‘refugee’ or a lingering question about the wisdom of spending more on warfare than on aid. It might be that we demand more from our leaders. Stoking the fires of discontent may seem a strange sentiment for an educator to espouse. After all, if you’re old enough to remember handwriting being literally beaten into you then you’re likely to think of school as industrialised conformity. Today, teachers look for ways to inspire and reward individual thought and we are right to do so because when “you adopt the values and the standards of someone else” Eleanor Roosevelt quipped, “you surrender your own integrity [and] become, to the extent of your surrender, less of a human being.” It follows that in thinking about the right of young people to be exposed to dangerous ideas we might also think about the necessity of it. Perhaps controversially, the current debate surrounding Brexit and the recent political deadlock in Australia has led some to call for a voting system skewed in favour of the young. After all, when we are all dead and gone, they will be the ones living the with impact of our decisions. Regardless of where you sit on the sliding scale of voting, we should all agree that it is essential our children do not grow into cynical adults who believe nothing can be done. Children must believe that things can be different. Fiction does this. What sets fiction apart? What about the museums, art galleries and documentary films we readily cue up in the hope of staving off apathy and engaging our children in the richness of culture? Why should children read? Why should anyone? Having taken over the leadership of the Loreto Library I have been thinking about reading a great deal. 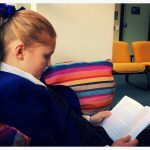 I have also been reading about reading and increasingly I find myself writing about reading with the aim of coming to my own understanding of the importance of a culture of reading within our school. 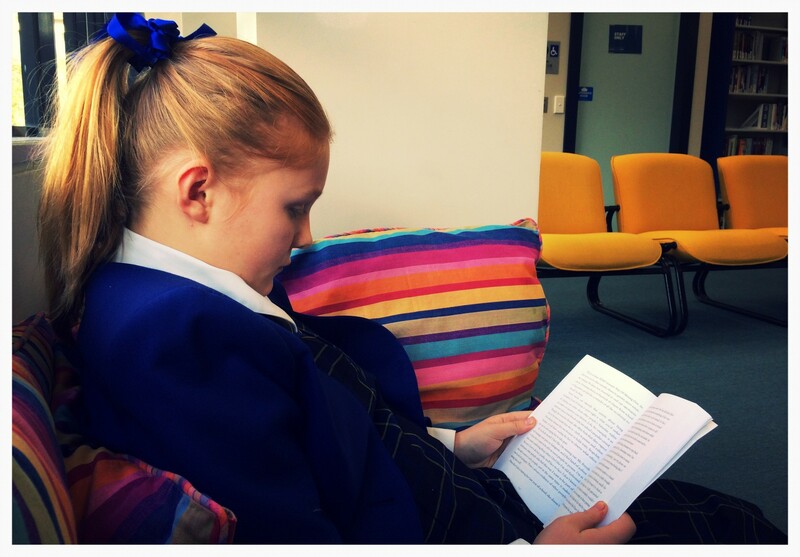 There are two main points that I have arrived at and that underpin all we do in the library at Loreto Normanhurst. 1- Leave prescription to the English teachers and encourage discovery, escapism and freedom in the library. As an English teacher with strong ideas about what constitutes ‘good’ literature this is a hard won insight. I haven’t thrown my reading preferences out the window though, I have simply learnt that if all reading puts children on a path to literacy then there can be no ‘bad reading’. Perhaps paradoxically, in a digital age we ought to cherish literacy all the more because while it might be tempting to believe that reading and writing are on a slow slide into obscurity we are in fact navigating ever more information. A child needs to navigate the internet, to understand nuance, to know when they are being manipulated and importantly, to make themselves understood. The best way to engage a reader is through a book that they want to read, one that they cannot put down because they must know what happens. As educators and adults in young people’s lives we ought also to talk to them about reading. Having regular conversations about reading is imperative. Popular culture will survive, the Kardashians will endure whether we discuss them or not. 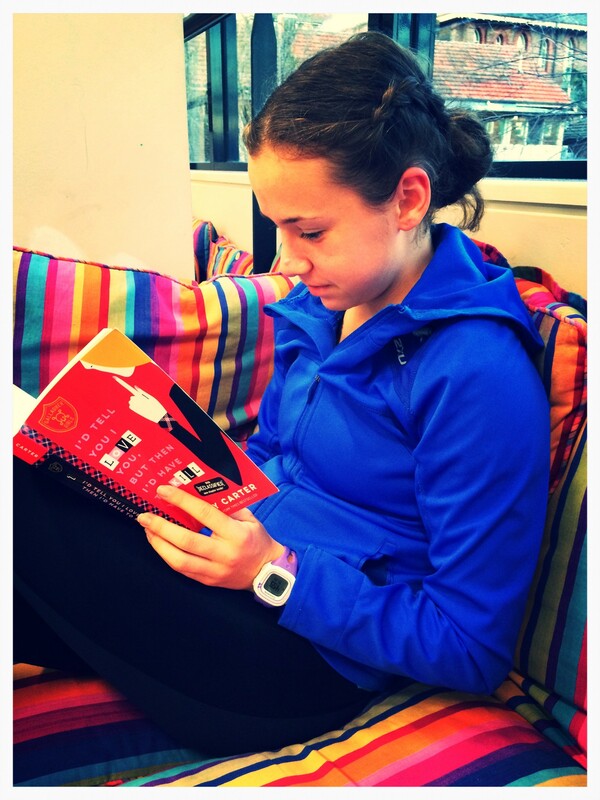 What young people discover in the pages of a book is both powerful and a portal into understanding their tastes and preferences. Recommendations are the lifeblood of libraries and a good librarian can weave a path of unexpected connections that delights. 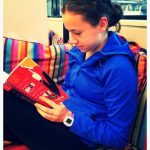 A good librarian also knows that my preferences are not your preferences and importantly when it comes to so called ‘good literature’ that what might seem a trite storyline to an experienced reader might be completely fresh and original for someone just beginning their reading journey. As the esteemed Neil Gaiman pointed out in his 2013 speech for The Reading Agency, a bad book could be a gateway to a good one. After all, in the wise words of our collective parents, ‘try it before you decide you don’t like it’. In my adult life I have applied this strategy of discovery and experimentation to multiple areas of my life with great success; food, reading, the gym, dating. Accepting that all reading is positive means understanding that reading can also be a response to what you need at that moment. Children (and staff) ought to therefore feel safe in the school library to seek out what they need when they need it. Libraries are a different space to the English classroom or any classroom for that matter because they straddle the divide between leisure and academia. They operate as a kind of third space, not the classroom, not home but a place where students are free to study or seek a reading tonic for what ails them. 2- Stories build empathy, they are how we come to understand ourselves, each other and the broader world. A score of small children sit at low bench tables, listening attentively to their teacher, a young woman called Naja. The schoolroom is a triumph of magical thinking: there are children’s pictures on the wall, some charts, a small bookcase with books. It is one of the most moving rooms in the world…The children talk of their dreams. Winsam dreams of Syria. Hani wants to be a doctor. Kinana wants to teach Arabic. When I ask them why they would choose these jobs they all answer to help rebuild Syria. Reading allows us to feel things and visit places we would never otherwise know. It helps us step into faraway places and build a picture in our mind that is uniquely ours. When we’ve been there, when we’ve travelled to these places we cannot help but look at others through a lens of commonality rather than difference. Empathy and curiosity about other worlds isn’t restricted to non-fiction. Some of the world’s most innovative people grew up on a diet of science fiction. It’s unsurprising that our most elastic thinkers were exposed early on to worlds where anything was possible, where “26 letters and a handful of punctuation marks” came together splendidly to speculate about what the future might hold, because if you cannot imagine it you cannot build it. When I think about the current frenzy to get girls involved in STEM in order to redress the gender imbalance I cannot help but wonder whether there is some correlation between the fact that girls (and I acknowledge this is a wild generalisation) aren’t that interested in sci-fi and the fact that they don’t pursue careers in science, technology, engineering and maths. Would imagining a different world help them build a different world? On this point I couldn’t do any better than turn again to Gaiman who argues that “discontented people can modify and improve their worlds, leave them better, leave them different”. I don’t think there is a more powerful message for young people than the simple fact that things can be different.